"This £400m [$511m] investment will ensure the Dreadnought programme remains on track, so we continue to have a nuclear deterrent at sea," Williamson said in a statement. The project – estimated at 31 billion pounds – will replace the current nuclear-powered ballistic missile submarines of the Vanguard class. The first submarine of the new class has been named HMS Dreadnought. Williamson said the second sub would carry the name of HMS Valiant to honor the vessel that played a role in the Falklands conflict with Argentina. 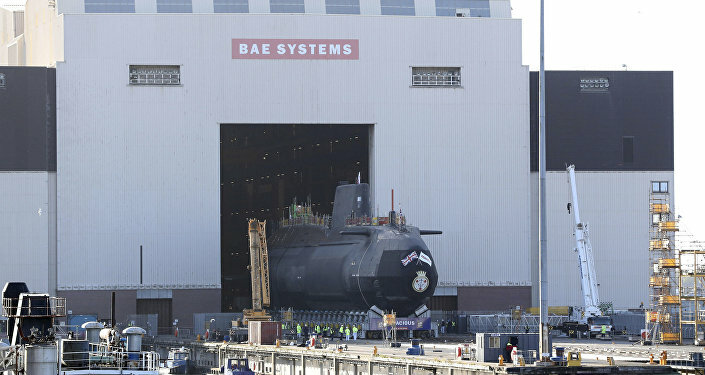 Defense Secretary, while visiting BAE Systems' site (British defence, security, and aerospace company) unveiled that he "have also opened a brand new multi-million-pound facility to train Britain’s submarine engineers of the future", which costs around £25 million. In May 2018 Williamson announced that 2.5 billion pounds ($3.4 billion) would be put into the construction of new submarines for the Royal Navy. Since Williamson became a Defense Secretary in November 2017 he has been calling for strengthening the UK submarine fleet, referring to the alleged surge in the Russian submarine activity near UK shores. Moscow has repeatedly denied accusations of posing a threat, calling them unfounded.